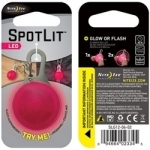 Nite Ize SpotLit LED is the perfect mini-beacon whenever you need a little help in the dark. Set in a lightweight stainless steel carabiner, it attaches quickly and securely to key rings, jackets - just about anything with a hook or zipper. Its long-lasting LED provides an ambient glow bright enough for everything from reading fine print to finding your car door keyhole. 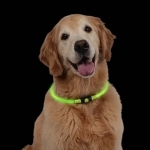 Attached to things like tent lines and camping gear, it provides instant location of hazards and necessities; attached to your person (jacket, backpack, running belt) it tells other people where you are, when they might not otherwise see you. Choose from two modes: press once for steady glow, twice for continuous flash. Water-resistant, long-life, replaceable batteries included. The well-known ChokeFree Brand of pet restraints is now proud to offer Vel*Pro, a new mesh one-piece non-choking pet shoulder collar that utilizes a Vel-Lock Closure. 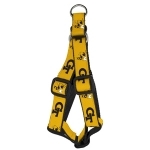 Available UGA logo dog collars. 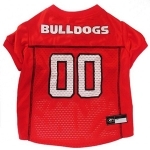 Show your team spirit and dress your dog in a football jersey just like the University of Georgia players wear. 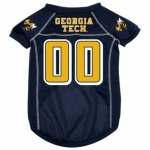 Made of polyester/mesh; V-neck, side panels, and striped sleeves in school colors. We have a wide selection of refridgerator magnets! Come in to find the perfect one for your fridge. Keep your pet in fashion with these ultra fancy crystal collars. Available in a variety of sizes, styles and colors. Cetacea's Drag-Free Leash has an internal spring coil - not a bungee that will break down - that keeps the leash compact when your pet is at your heel. This unique design allows extension up to 8 feet and it will not lose its' memory. While your pup is sniffing around our store, check out our selection of hats for humans! We have a display of designs and colors to choose from. 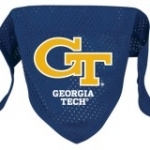 We carry Insect Shield bandanas, tees, crates, blankets, pens, and cots. 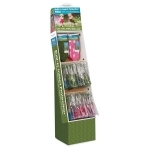 Keep your pup free from pests like mosquitos, ticks, fleas, flies, ants, chiggers, and more. 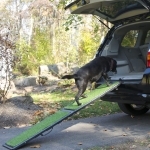 Let your pet enjoy the outdoors without the annoyance of insects!